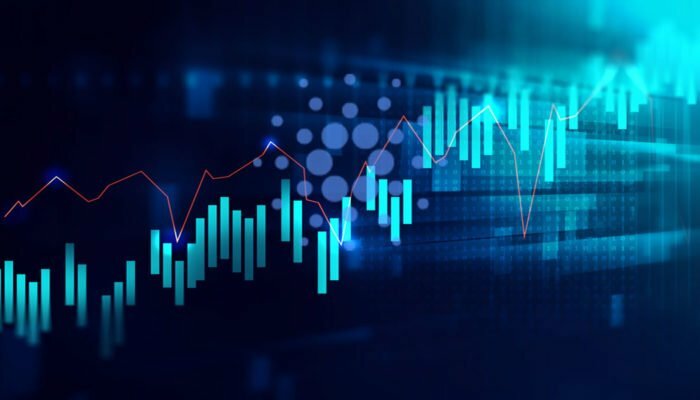 At the face of bears, Cardano (ADA/USD) pair losses are steep. It’s down 18 percent in the last month as LTC/USD sink deeper into loss making territory despite market building announcements. This divergence between technical candlestick formation and fundamentals could temper prices. But first we need to see strong rejection of lower lows. EOS Nation, a group of well-meaning developers drawn from different block producers shall vote today and decide on whether they shall release a tool, EOS Referendum that will make block producer voting easy. This is part of the whole effort to improve EOSIO governance allowing users to stake tokens in a ballot like system. Expedition will be through a forum smart contract and a tallying system for casting and counting cast votes. The team shall avail a voting portal complete with documentation for easy voting once the tool is live. Back to price and EOS is down five percent in the last week and pretty stable in the last day. Following Oct 29 meltdown, we were expecting prices to stabilize as the market re-calibrate. But, despite the slide, none of our trading conditions are live. 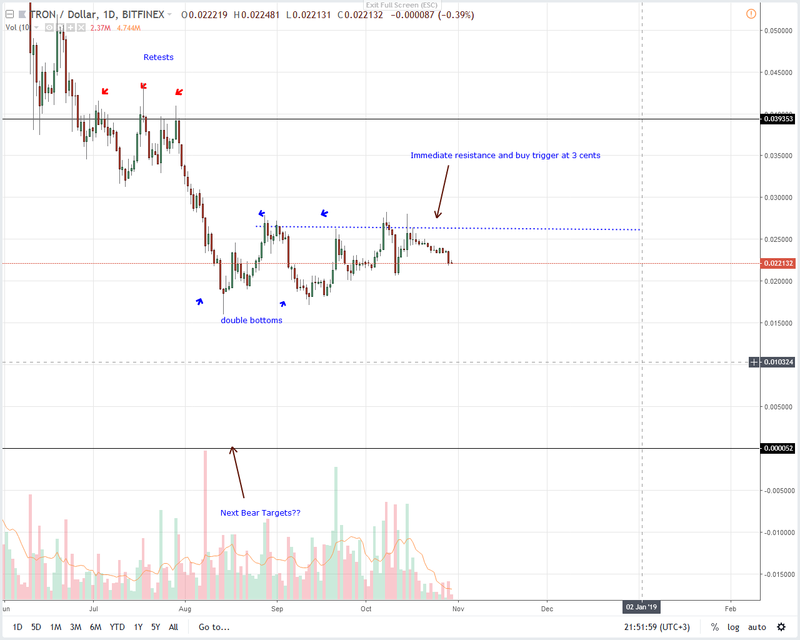 Therefore, we shall retain a neutral stand until we see declines below $4.5 or rallies above $7 triggering a new wave of buy pressure aiming at $9. However, this should not stop aggressive traders from trading in the direction of least resistance. As such, selling at spot with stops at Oct 29 highs at $5.55 and first targets at $4 should be ideal. 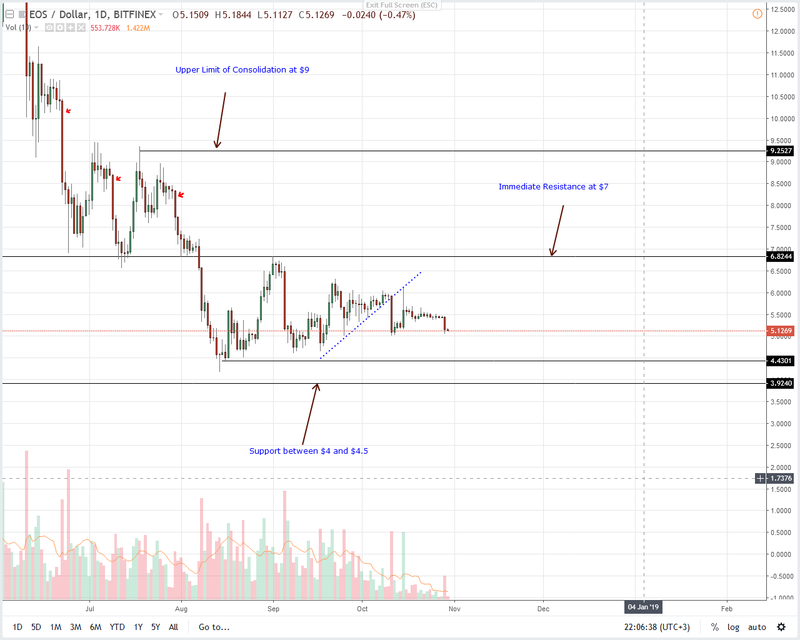 Thing is, LTC/USD pair is now trading below the main support and sell trigger line at $50. Despite expectations of higher highs following Oct 15 USDT debacle, sellers did step up leading to massive losses on Oct 29. 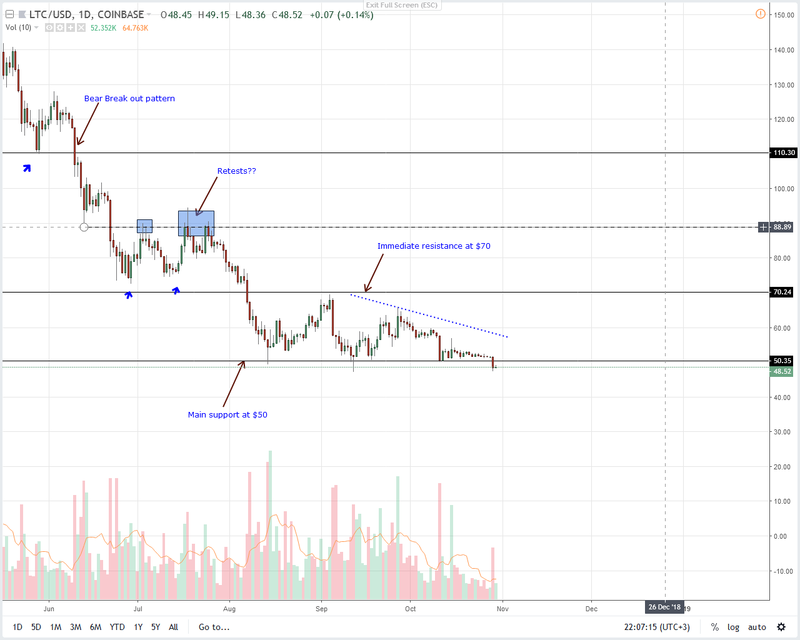 Therefore, in a classic bear breakout trade, our trade conditions as laid out in previous LTC/USD price analysis is now live. Thanks to yesterday’s inactivity and LTC bulls’ failure to respond, we recommend shorting at spot with stops at Oct 29 highs at $52. The Stellar Network, through a medium post has announced their version of the Lightning Network called the Star Light. The off-chain solution is now in beta and users are guaranteed of fast and free settlements through their payment channels that allow funds to be locked up by the channel participants. Participants can then execute their transactions off-chain while remaining safe and private. At the moment, the Star Light off-chain payment channel supports a two-party settlement. 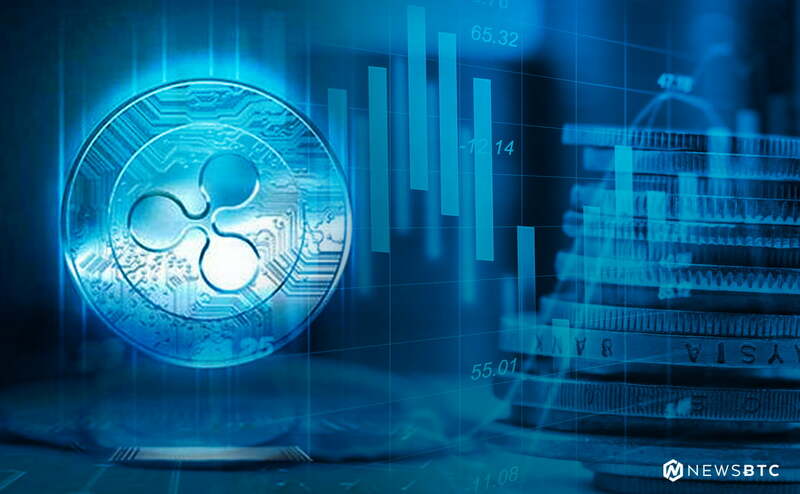 However, in days ahead the network plans to create Multi-hop payments between channels compatible with Bitcoin’s Lightning Network and Ripple’s InterLedger. Following Oct 29 losses, we are back to neutral trading in line with our previous XLM/USD trade plan. 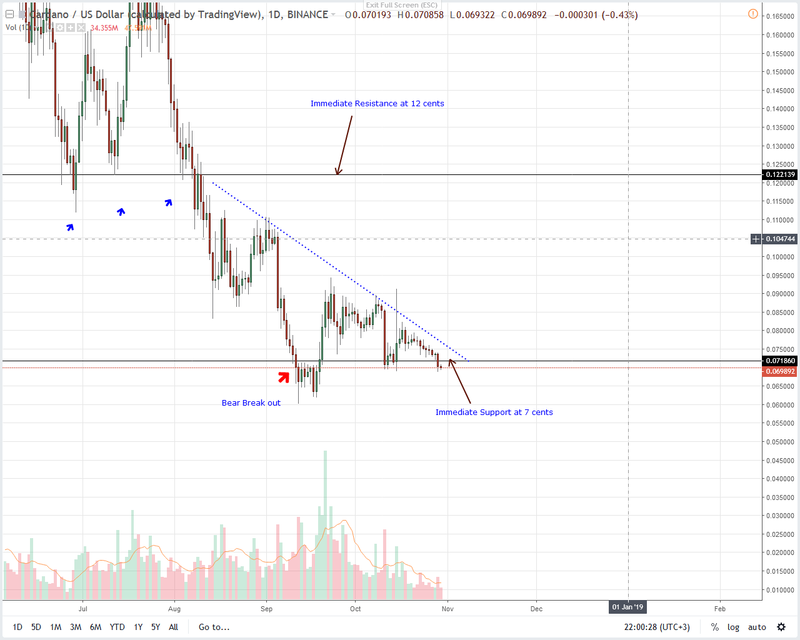 This is so because while Oct 15 gains are yet to be reversed, a cautious approach would involve waiting for trend confirmation and that demand XLM surge above 25 cents. Conversely, complete Oct 15 gain reversal would push XLM back to within the 15 cents-20 cents limit marking our main support zone. 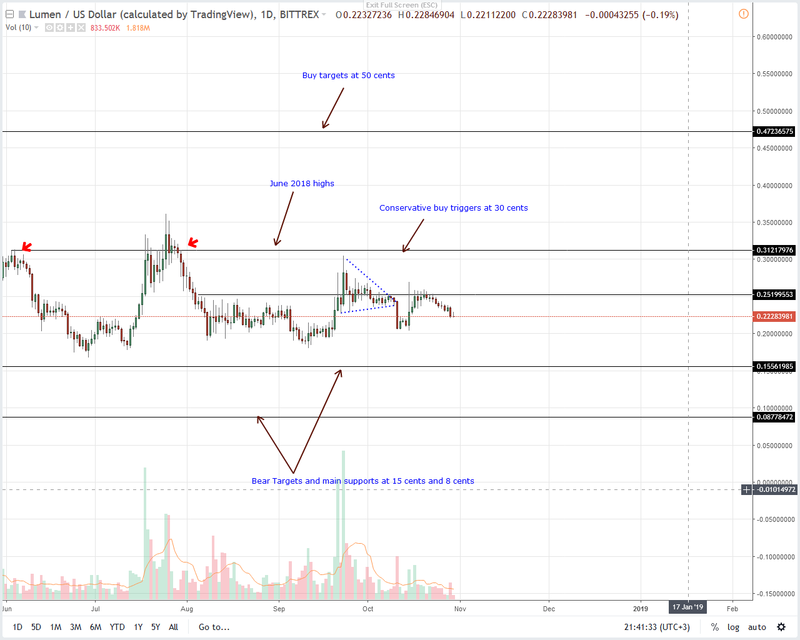 This is why before any of this prints out, we recommend taking a neutral, safe stand in line with our last XLM/USD trade recommendations. Like the rest of the market, BTC drops amplify losses in some pairs like TRX/USD. It’s down eight percent in the last week and a bit stable in the daily chart despite yesterday’s draw-down. Now, going forward, we shall retain yesterday’s plan encouraging risk-off, aggressive traders to unload at spot with stops at Oct 29 highs at around 2.5 cents. First targets will be at the 2 cents mark and later Aug double bottom at 1.5 cents. Even with the release of Rust CLI, ADA losses are compounding and down seven percent in the last week. From a larger view, it seems the slide is just beginning because ADA/USD is down 20 percent. The result is a meltdown below 7 cents as sellers reverse Oct 15 gains hitting stops as a result. Because of yesterday’s development, aggressive traders can begin unloading the ADA/USD pair at spot with stops at Oct 29 breakout bar highs at 7.4 cents. Moderate targets are at 6 cents but losses beyond that open new Cardano ATLs.